The new HA-EBR80 headphones are an earbud design with a unique adjustable ear clip that holds them securely in place. The new HA-EBR80 headphones are ideal for the active user. They feature a one-button mic/remote that makes it easy to operate the play, stop and skip functions, and answer a phone call that can be handled hands-free. 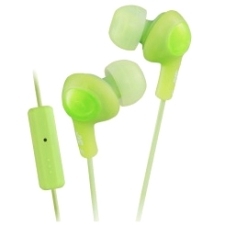 The headphones are compatible with Apple and Blackberry devices. 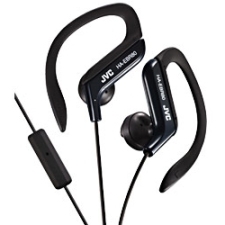 Designed for sports use, the HA-EBR80 headphones are both comfortable and practical. 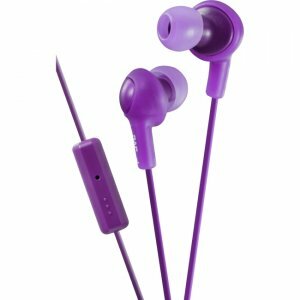 They fit snugly on the ear and are held in place by an adjustable soft rubber ear clip with five selectable positions for a secure and comfortable fit. To ensure high quality sound reproduction, the new headphones feature powerful 13.5mm neodymium driver units, bass-boosting earpieces, and a friction noise reduction cord of 3.94 feet (1.2 meters). Available in a choice of four colors - blue, black, silver and red - the HA-EBR80 headphones also come with a slim, gold-plated iPhone®-compatible plug.